Daniel R. Kramer, loving husband and loving father of two children passed away peacefully at the age of 65 on August 9, 2018. Dan was born on December 13, 1952 in Sabetha, Kansas. He received his degree in food science from Kansas State University in 1977 and later went on to receive his master's degree in business administration from Rockhurst University. On November 27, 1982, he married Ruth Heidrick and they raised their daughter Katie and son Kyle in Lenexa, Kansas. 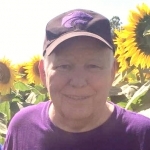 Dan loved to tailgate and watch K-State football. He loved to laugh and spend time with his family, especially his granddaughter, Ellie. Dan was one of the best at making people laugh and making sure everyone always had a good time. Dan was preceded in death by his father, John and his mother, Madge. He is survived by his wife Ruth, his two children, Katie and Kyle, granddaughter Ellie and brothers Keith and Terry. A Celebration of Life Visitation will be held on Monday, August 20, 2018 from 5-7:00 p.m. at the Porter Funeral Home in Lenexa, Kansas. Memorial contributions may be made to the Prostate Cancer Foundation or Wayside Waifs. Rest in peace Dan. You will be missed by your friends and colleagues at Team Drive Away. Your family will remain in our prayers. Kyle my thoughts are with you and your family. Rest in peace Dan. We were so sorry to hear of Dannyâ€™s Passing. It was nice to see him at Healthridge and get to know him again after so many years. Ruth, you and your family have our condolences. We would love to be at the memorial but we are traveling that Monday to Canada. You will be in our thoughts and prayers. Sincerely, Gary and Sarah. I am so sorry for your loss. I worked with Dan at Arrow and had the office next to him this past year. I will miss him dearly as I know you will. I was so sorry to hear about Dan's passing. My sympathy & prayers to his family. Kyle and family - we are so sorry for your loss. Our hearts are saddened by what you are going through. Remember all the laughter and good times. These thoughts will help you through the tough times ahead. Peace be with you and your family.